In order to learn more about marketing and digital marketing, BINUS INTERNATIONAL Marketing Club (BIMARC) held a seminar titled ‘Young and Creative Entrepreneur’ on October 31. 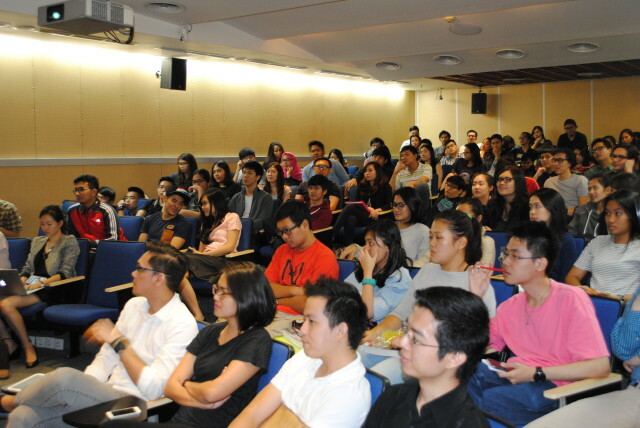 Around one hundred participants consisting of Binus students, entrepreneurs and marketers attended the seminar. 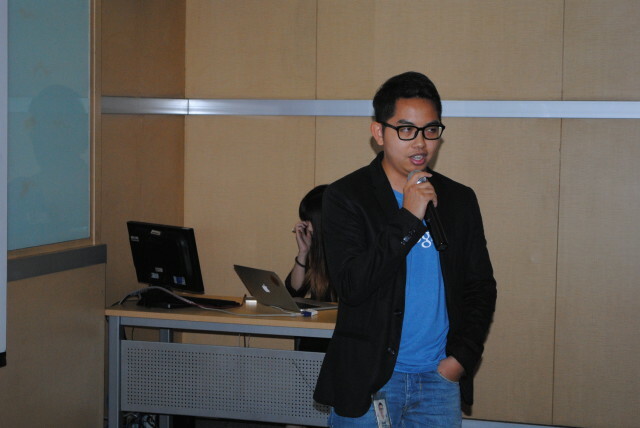 Natalia Affandy, BIMARC President, explained that this was the second time the event was held. “The purpose of this event is to give practical knowledge to BI students about the start-up business process, brand development process, as well as sharing the experience of experts in building their business,” she said. At this year’s seminar, BIMARC invited four experienced and successful guest speakers in business. The four speakers were all relatively young. This turned out to be quite a successful strategy to gain more participants for the seminar. The four speakers were Ian Eryanto Wongso (founder and owner of JKTGO.com), Sayed Muhammad (founder and owner of localbrand.co.id and local.co.id), Julian Tanoto (founder and owner of Cloth Inc.), and Zulfi (Marketing Manager of Google Indonesia). The purpose of inviting the young speakers was to make sure that it would be easier for the participants to understand the materials, by having a fun and interactive seminar. The organizers of the seminar also aimed to show that age was not a prerequisite of starting up a business.